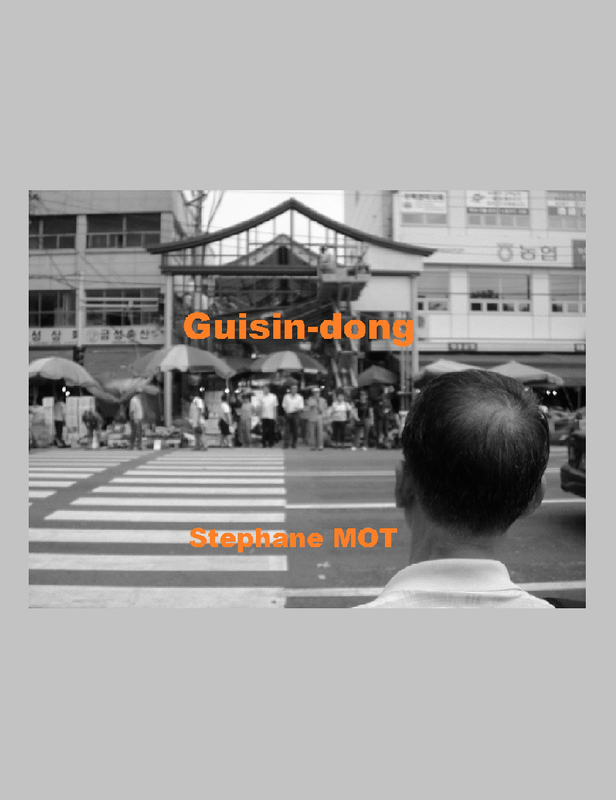 They are touchingly ugly, and sometimes dangerous, but we can't help loving them. They? 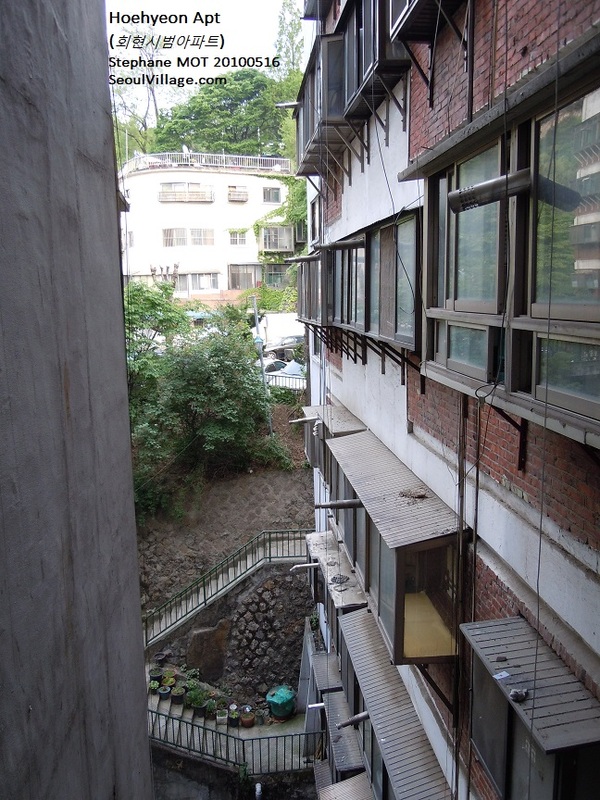 Seoul's venerable apartment blocks of the first generation, survivors from the sixties. 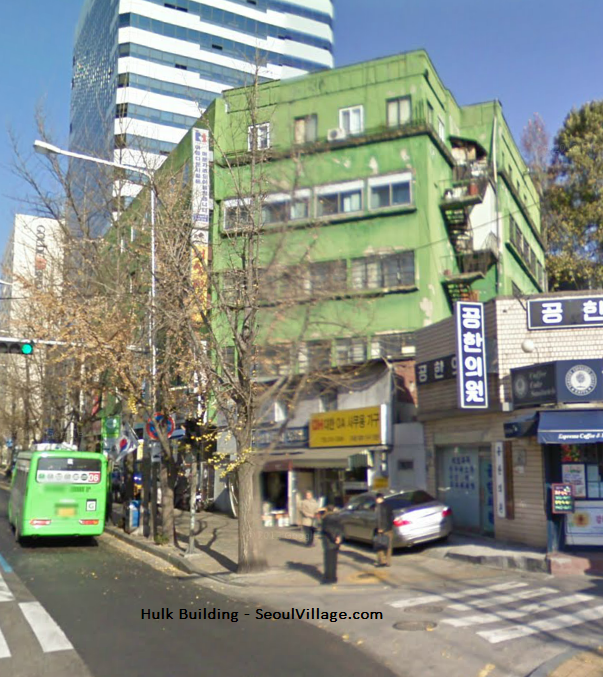 I just followed Robert Fouser's link to an article* on modern architectural heritage in Seoul, mentioning Dongdaemun Apt (Changsin-dong, Jongno-gu) and illustrated with a mugshot of my beloved "Hulk Building" (Chungjeong Apt, Chungjeongno, Seodaemun-gu). 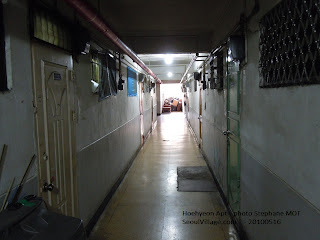 Immediately resurfaced vivid memories of the amazing Hoehyeon Apt (Hoehyeon-dong, Jung-gu) and of other more or less hidden gems. My all time fave remains Hoehyeon Apt, on the other side of Namsan. I even wrote a fiction about it. That place is simply bewitching, and if I were a photographer or a filmmaker I'd probably spend years haunting it. Before being eaten alive by it. Straight from a cartoon by Miyazaki Hayao on antidepressants (or straight from a M.C. Escher nightmare), the derelict structure somehow manage to hang from Namsan, anchored by scrawny staircases themselves on the verge of collapse. At its inception a model for Korean collective housing, Hoehyeon Apt is an insult to today's standard of living, and was even declared hazardous a couple of years ago. Hopefully, the 'vintage' spirit that has been on Seoul air for a a decade has helped Seoulites reconsider these time capsules, a spectacular and shameful part of their heritage. ** then the National Museum of Korea. I'm glad both structures are gone now.